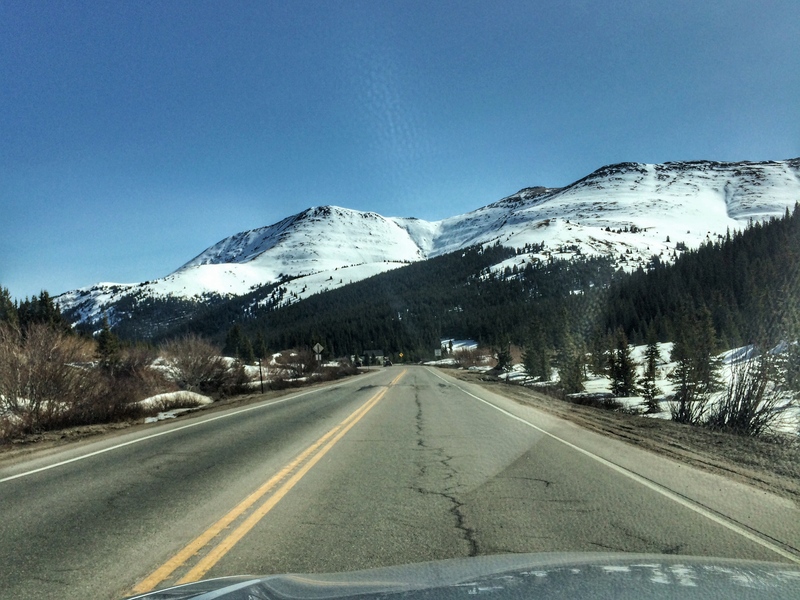 On Good Friday, we headed into the mountains to explore. Nate and Karen had been in California for a month and were on their way home (after being stranded by car trouble in Tuba City, Arizona for four days). We arranged to meet them in Breckenridge. 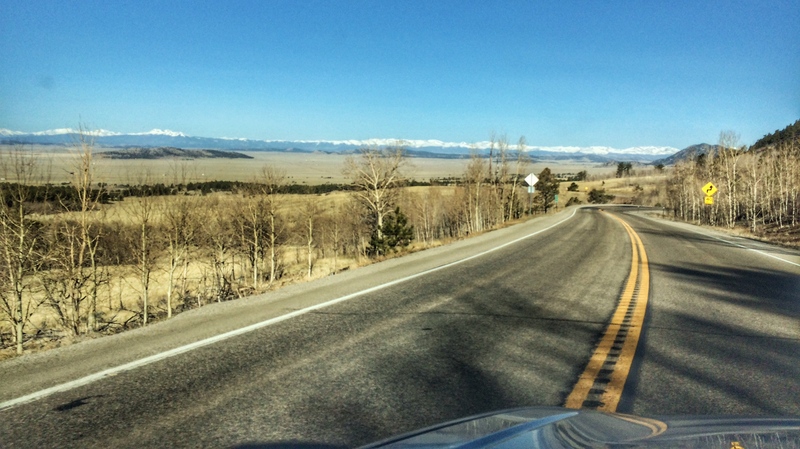 Sally and I drove through Ute Pass into South Park, where we saw thousands of Pronghorn, all on the left side of the road. 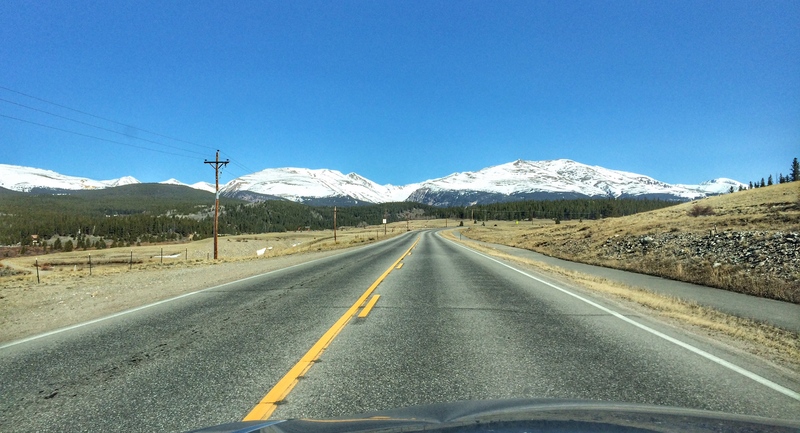 I think the mountain on the right is Lincoln Peak, one of the 14ers. 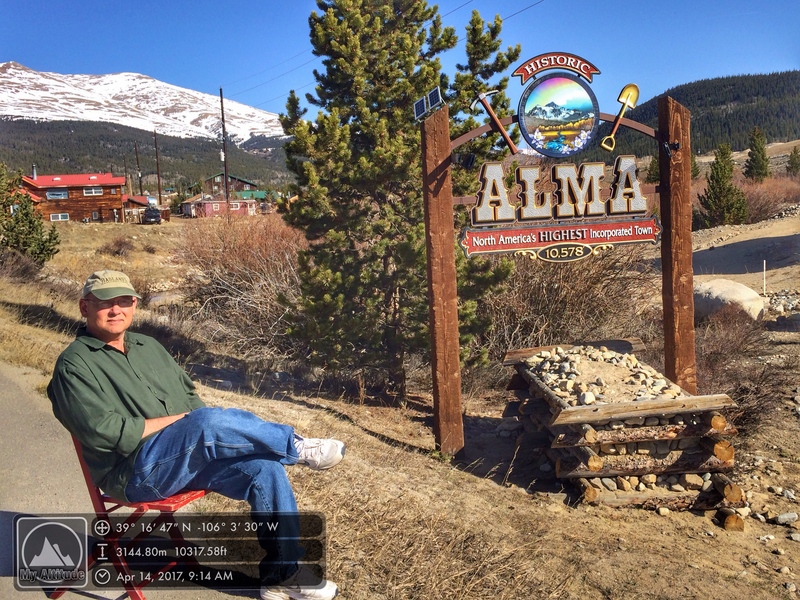 Alma is the highest incorporated town in North America, at 10,578 feet, which puts it at two miles above sea level. 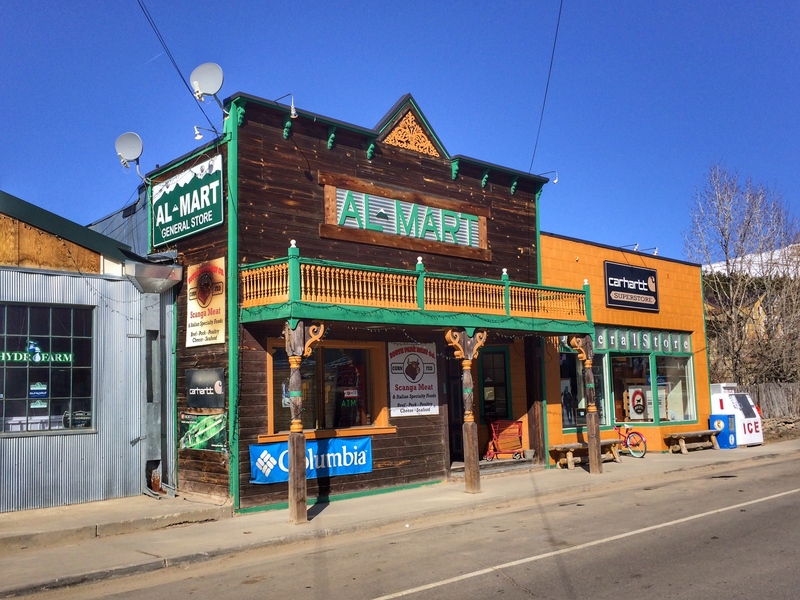 It’s a funky little town that’s very proud of being “high.” We stopped at the Al-Mart, a general store that sold food and clothing and all sorts of things. The guy running the register told me, “If we don’t have it, you don’t need it.” We soon discovered they didn’t have toilet paper in the restroom, so I’m not sure I agree with him. 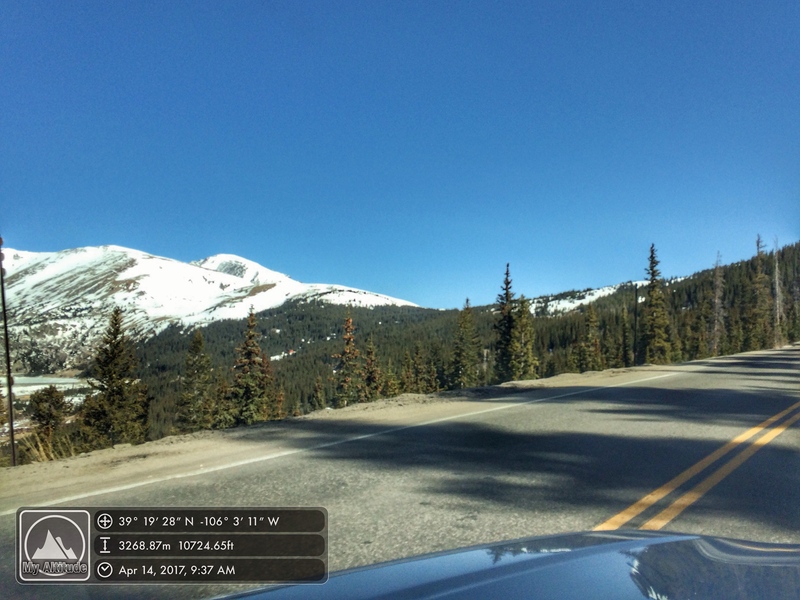 North of Alma, we drove over Hoosier Pass on the Continental Divide. 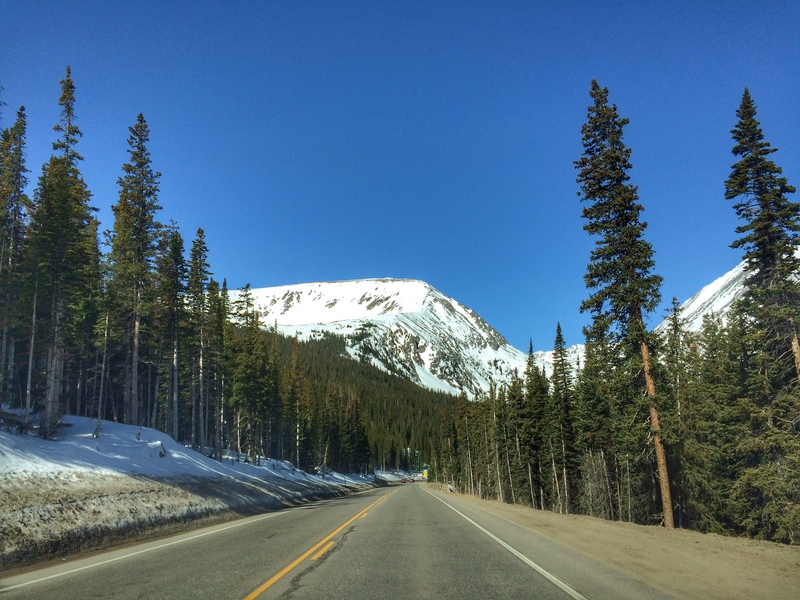 The road never got above treeline, bit it came pretty close. I think this might be Quandry Peak, another 14er.